Is an ACO Right for My Practice? No one went into medicine to spend increasingly less time with patients every day. That’s why we base feedback on quality performance and health outcomes rather than patient volume. With this approach, you can invest more time into your passion: practicing medicine. Founded by Ascension Seton, Seton Health Alliance helps independent healthcare providers work together for better patient care. We are based on the idea that community physicians can combine their efforts to provide exceptional care, resulting in overall better patient health and lower healthcare costs. Our core work is to help primary care physicians, specialists and the hospital work better together. With physician support at the network level, the highest standards for patient care and value-based incentives, our provider members are encouraged to focus their efforts on patient wellness, comprehensive care and preventive efforts. Our provider members can also rely upon our care navigators to help their patients navigate the healthcare system, stay up to date on on health and wellness plans and coordinate preventative care for chronic illnesses. Member providers can continue running their own practices, even if they’re part of a larger medical group. We don’t directly employ physicians or manage healthcare practices. 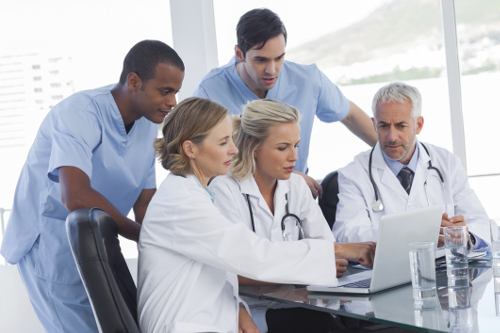 Independent member providers can, however, benefit from the larger network of local physicians who truly understand the challenges you face on a daily basis, enabling physician support and coordination on a larger scale. Take the next step and get more information about joining us so you can provide better care and benefit from the tools and support we offer.